My favorite day of the year is the day of my annual cookie party. Cookie decorating with friends! I look forward to it all year. It’s the simplest of pleasures and it makes me so happy to give the gift of the cookie party to others. 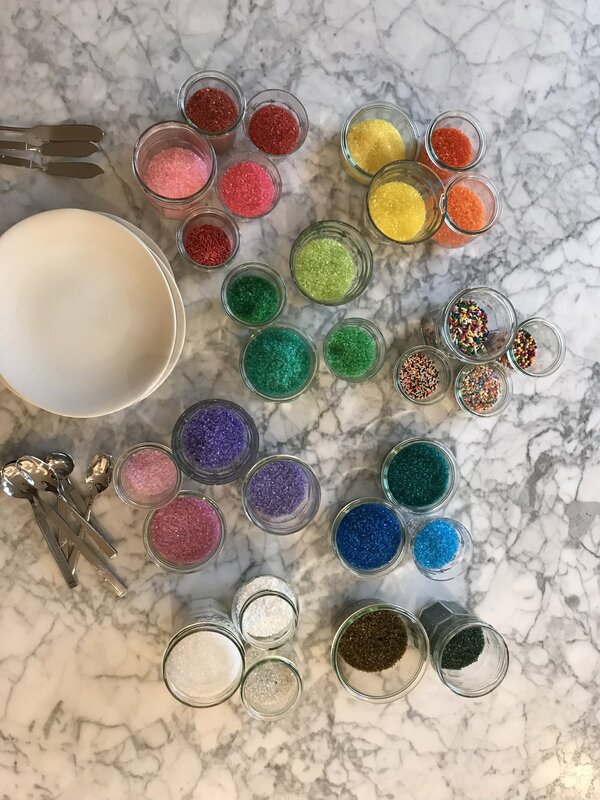 For the 2018 ANNUAL COOKIE PARTY I made 26 pounds of dough, 16 pounds of buttercream, and 25 different colors of sprinkles ranging from pink to more pink to aqua to violet to black. Here’s the best part: I DID THIS FOR A PARTY OF FOUR. Four people. 26 pounds of dough. A vat of buttercream. So many sprinkles. In the end, we bedazzled A LOT of cookies. And that’s just the way I like it.